Categories: Food Supplements, Marinox, Marinox, Nahrungsergänzungsmittel. Iron is a vital trace element needed for many functions in the body. A varied and well-balanced diet therefore is necessary to provide the body with sufficient amounts of iron. A sufficient supply is important particularly for women. 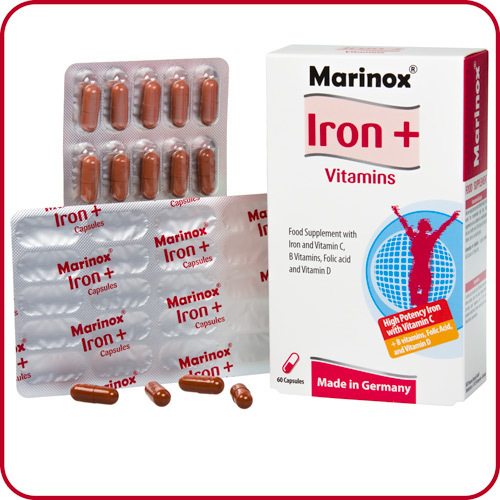 Iron contributes to normal formation of red blood cells and haemoglobin as well as to normal oxygen transport in the body. 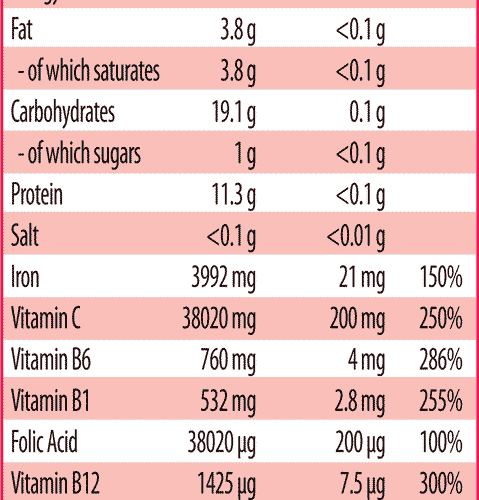 Folic acid contributes to normal blood formation. 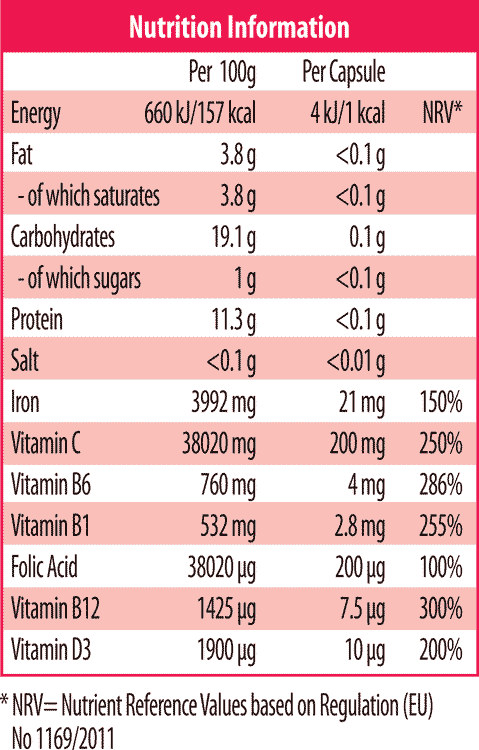 Vitamin C increases iron absorption. Iron, folic acid, vitamin C, vitamin B6 and B12 contribute to the reduction of tiredness and fatigue. Vitamins B1, B6, B12 and C as well as iron contribute to normal energy-yielding metabolism. 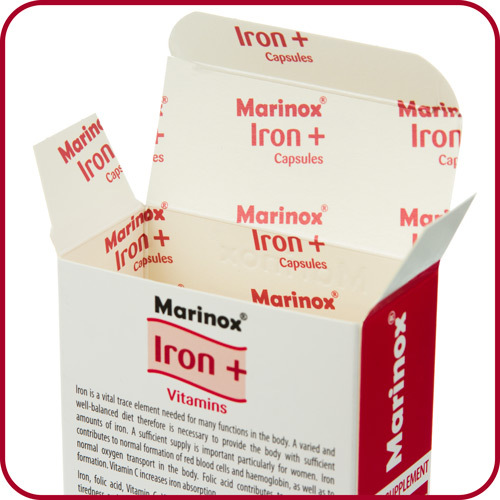 Marinox® Iron + additionally contains Vitamin D, which contributes to the normal function of the immune system. L-ascorbic acid, corn starch, iron (II) fumarate, capsule Shell (bovine gelatine, colour (Iron oxides, titanium dioxide), anti-caking agent: magnesium salts of fatty acids, pyridoxine hydrochloride, thiamine mononitrate, folic acid, cholecalciferol, cyanocobalamin. 1 capsule provides 4kJ/1kcal and <0.1 bread units (BU).